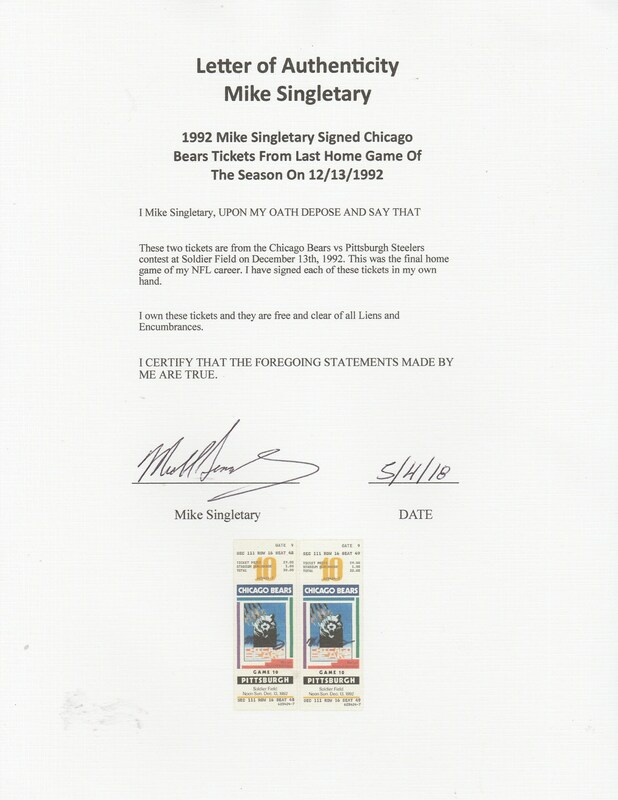 Presented here are two tickets from the final home game of Hall of Fame linebacker Mike Singletary’s career. 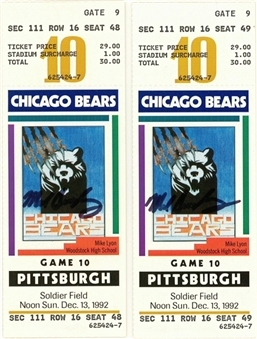 The game, which took place on December 13th, 1992, saw the Bears match up with the visiting Pittsburgh Steelers at Soldier Field. The Bears won this game 30-6, handing the AFC North champions their fourth loss of the season. Singletary, a member of the Hall of Fame class of 1998, has signed each of these two tickets in black marker. 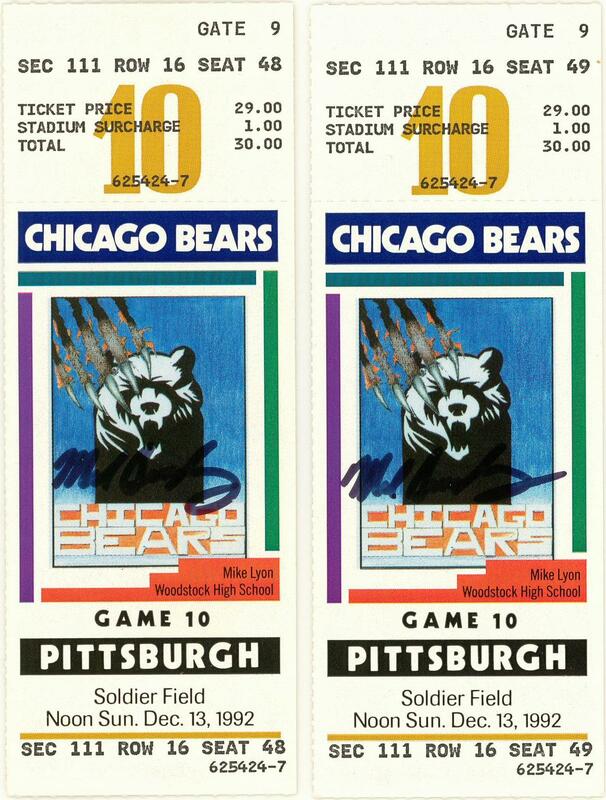 These tickets are accompanied by a LOA from Mike Singletary.